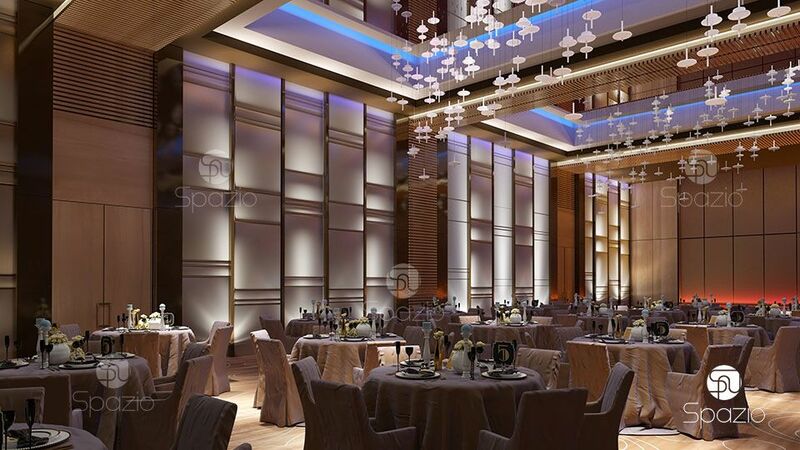 Spazio is one of the best hotel fit out and refurbishment companies in Dubai. 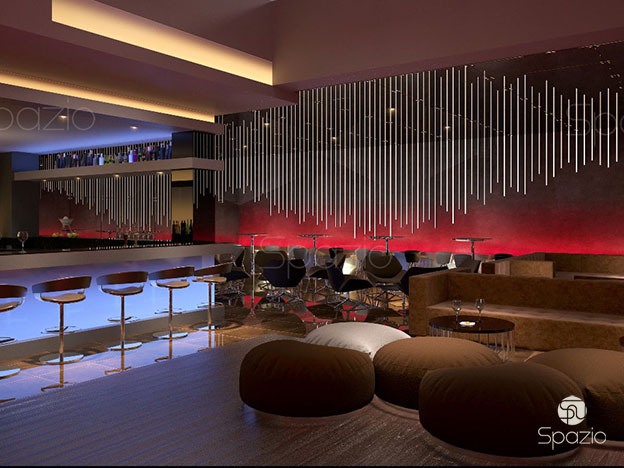 Over the years, Spazio has been renovating and decorating hotels of a very diverse class and styles. Regardless of the budget, complexity and scope of work, we guarantee perfect refurbishment and responsibility in solving set tasks. We cooperate both with individual hotels and with large chains of hotels, and also offer our execution services to hotels that are only planning to open. 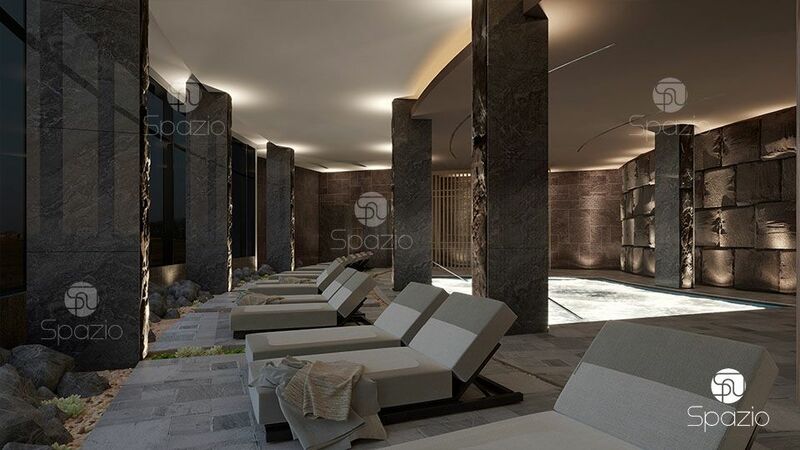 Spazio executes hotels taking into account all special requirements for such objects, as well as the wishes of the owner and in accordance regulations and state standards. 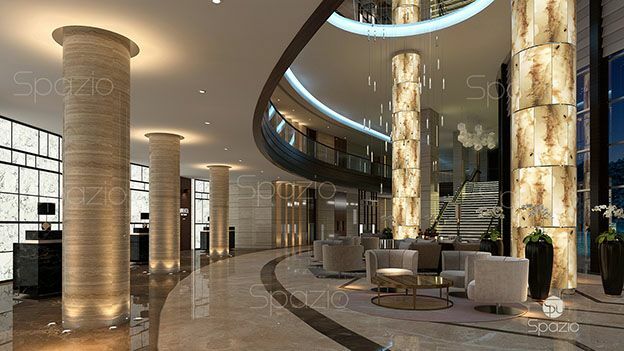 Our company has qualified architects and designers, engineering staff and experienced refurbishment workers, who can perform all the necessary complex of works of hotel refurbishment projects from the concept project to the final finishing of the premises and furnishing. Pay attention to the details. 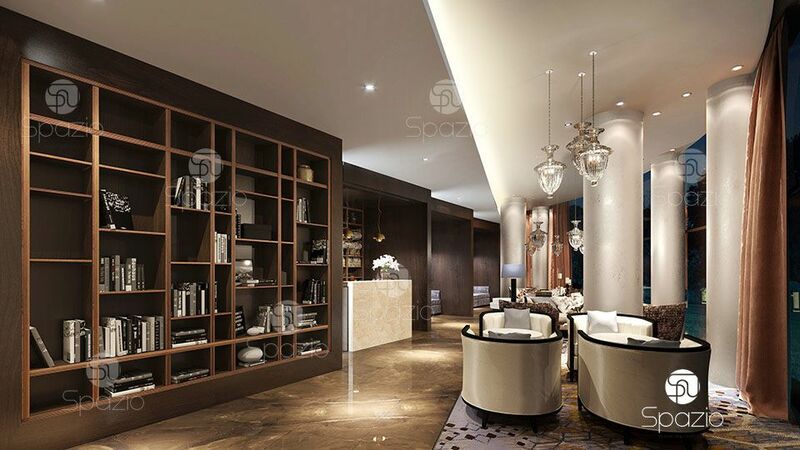 The luxurious 5 star hotel is executed by our designers and a fit out team in a modern style. High-quality materials, very neat seams and joints, light effects. All this provided an impressive design of a 5 star hotel. 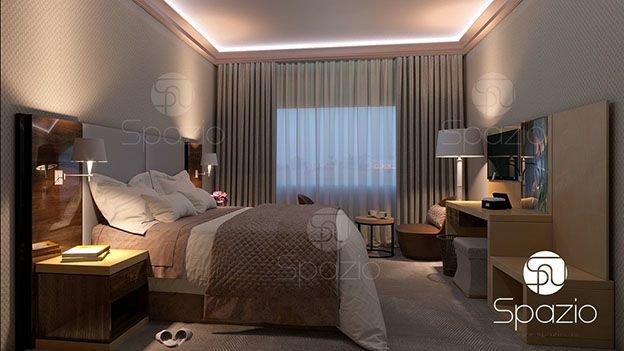 Spazio company has specialization in hotel fit out. 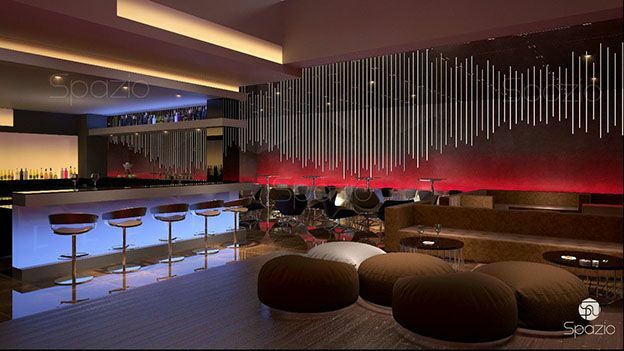 We have experienced designers, architects, engineers who can perform a hotel project on "turn key". The hotel is a complex object. Hotel fit out requires developing a full set of documents for execution. 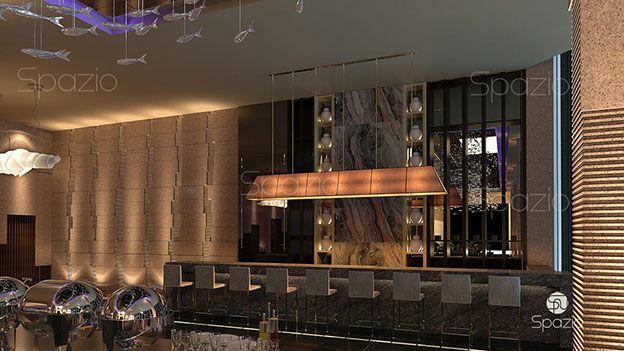 Turn key hotel fit out solutions include the creation of a design concept, the development of style, the development of detailed rooms, the description and delineation of rooms and common areas. 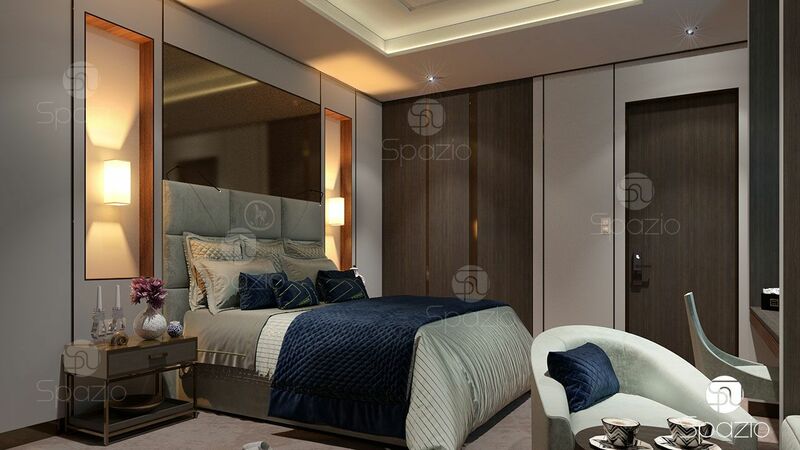 This will allow an impressive, functional, attractive and comfortable interior of the hotel. A well-designed project allows you to accelerate work, reduce the cost of implementation, identify and solve all problems at the design stage. 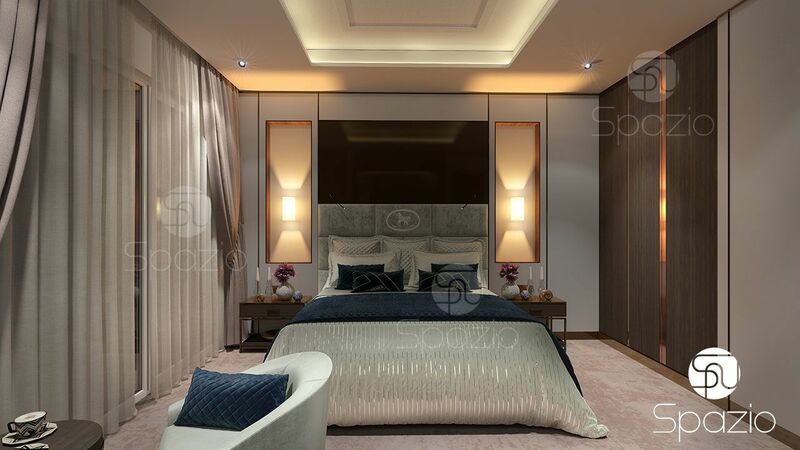 More about hotel interior design projects. Reasonable prices for hotel fit out, which allow you to quickly return the investment in the hotel refurbishment. 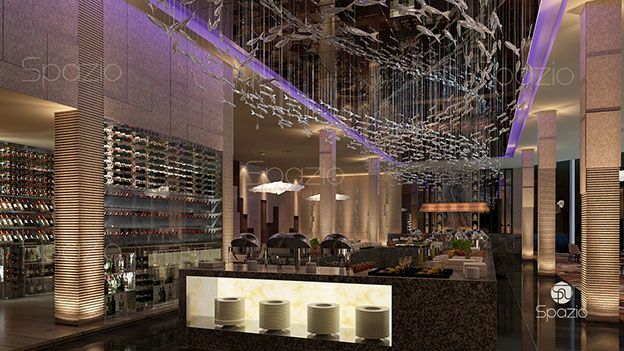 Fit out and refurbishment of hotels is carried out in low season. 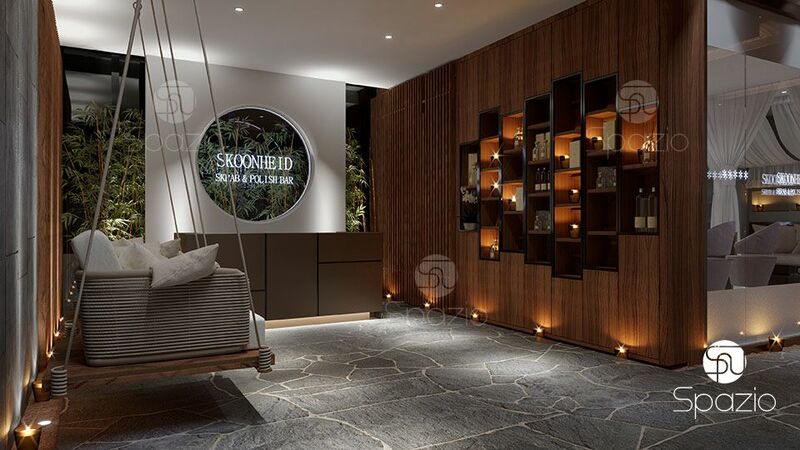 We start planning ahead of time in order to quickly and efficiently execute fit out works. Your hotel will be ready to get guests at the beginning of a high demand season. Fit out services from A to Z. We create a project, select materials and furniture, execute all works. Ordering all services from us you get the most attractive prices and the solution of all tasks. 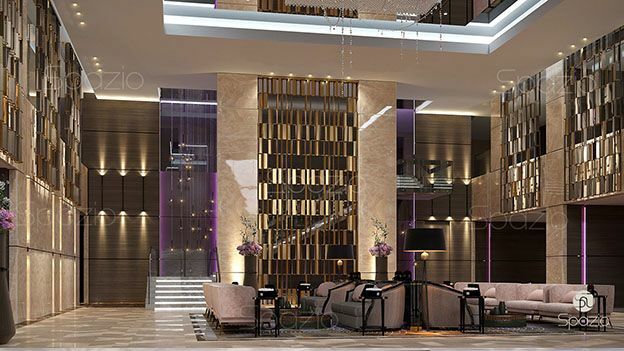 When you are looking for hotel fit out companies you want to find that one, who not only execute your hotel refurbishment project, but also who understand hotel business and have an extensive experiences in hotel fit out. You are in the right place. 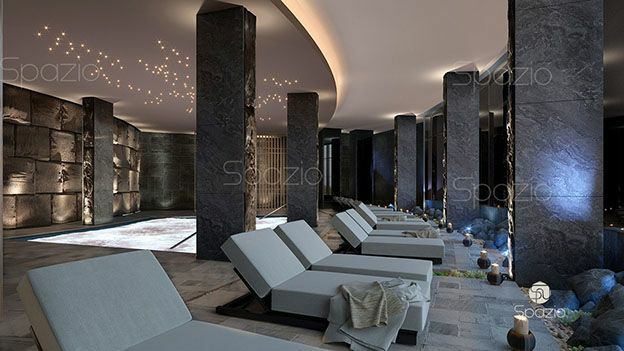 Spazio is what you need. The hotel should combine beauty, convenience for the guests and high business efficiency. 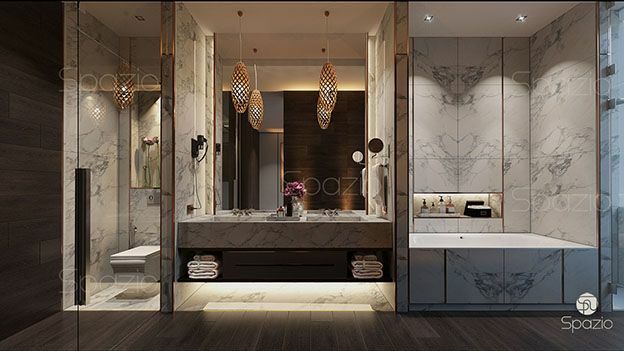 We develop very effective planning solutions, create attractive interior, select resistant beautiful materials, make orders directly from the material producers (this significantly reduces the cost of finishing works), we produce all the finishing works on a turn-key basis. 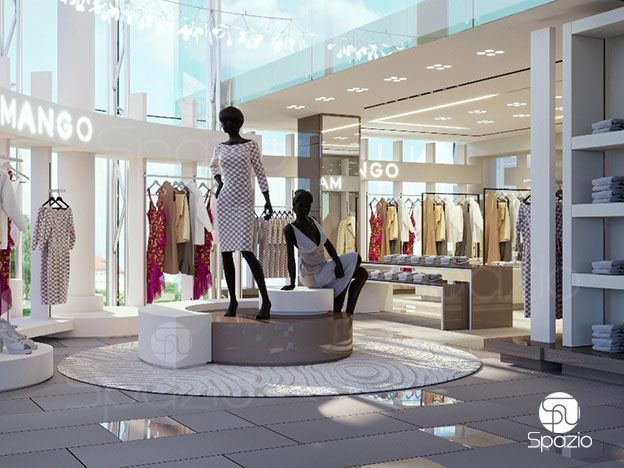 Spazio has own factory, that allow us to offer our clients unique decorations, patterns, items, custom furniture. You get excellent decorations and furniture at low prices. We will create all models of the necessary elements and produce them by the appointed date. Fast, efficient, not expensive. Saving money is achieved not only through the price of materials, but also by resistant of the fit out. We are able to execute luxurious 5 star and superb 4 star hotels, as well as to fit out attractive, cozy and authentic small hotels. 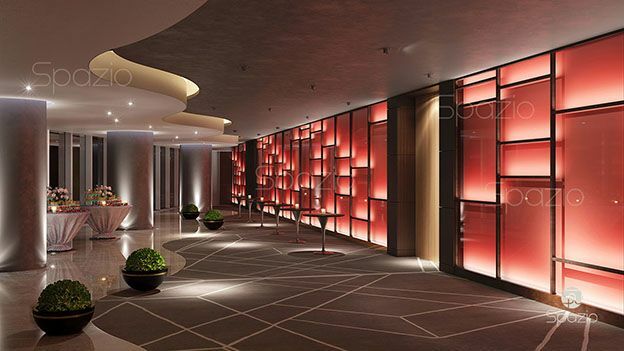 Our portfolio of executed hotel projects says more than any words. Pay attention to each room. 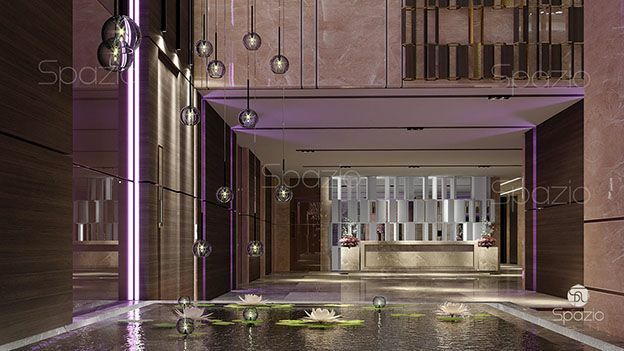 Main halls, reception areas, corridors, gust rooms are done at an excellent level. 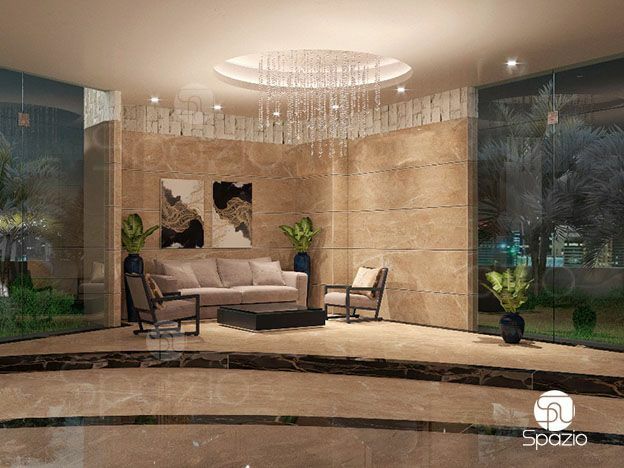 We are ready to execute a project of any complexity and style. Our extensive experience guarantees an excellent result. Entrust us with the execution of your hotel. Call or leave a request and we will contact you.